When you head off to college, you’re probably expecting wild nights and activity-packed days, all the while acing your classes. But when you arrive, there are all kinds of daily struggles you never would have thought of. 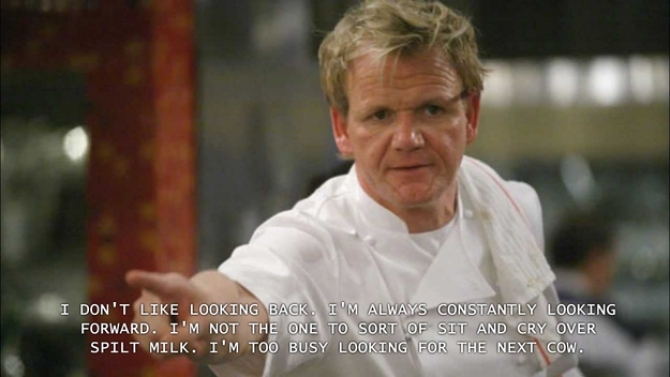 But don’t you worry — even if your parents will never be able to truly understand your frustration, Gordon Ramsay knows those feelings and expresses them better than we ever could. 1. When you get sexiled… again. Especially when you just want to curl up in bed. 2. When your friend needs to grow up and ask the girl out. 3. When you pretty much know you’re going to fail all your finals. 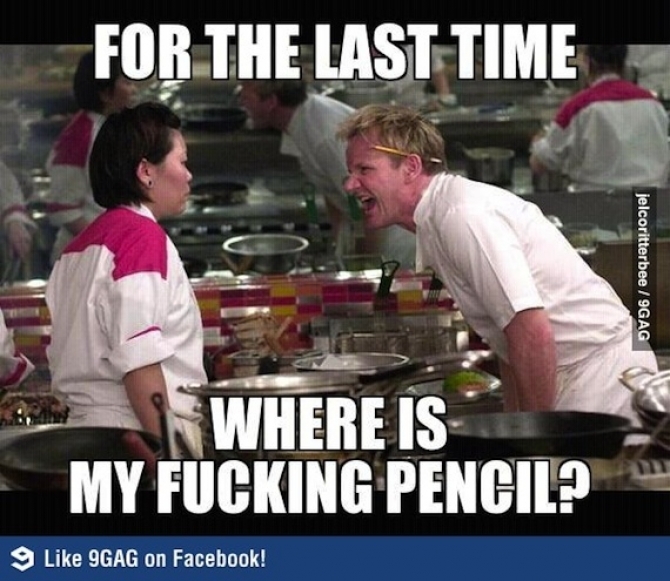 Because even bosses like Gordon Ramsay (and you) cry sometimes. 4. When you did fail all your finals. There’s always next semester right? 5. When your group project members fail at everything. Let’s be honest, that’s a rhetorical question. 6. When your supposed friend forgets to save you a seat in that one really full class. 7. When your housemate hasn’t done dishes for weeks. Except you they can’t because the oven is probably full of their dirty dishes too. 8. When your housemate finally does the dishes. 9. When you’re drunk and thirsty. Nothing like a little truth serum to reveal your… needs. 10. When you literally cannot find anything among the junkyard that is your room. Especially when it’s literally right there. 11. When people are eyeing your spot in the library. I’m living here so get off my property. 12. When you eat dining hall food. You’re telling me that’s fish, but I really don’t believe you. 13. When you clean up after your sloppy drunk friend. Honestly you should be kissing my feet instead of hugging the toilet bowl. 14. When your schools’ sports teams are sucking. If only your enthusiasm could translate to their skills. 15. When your class registration system keeps crashing. 16. When your housemate is too stuck up to take out the trash. Seriously it’s not that hard. 17. When someone cuts you in line for Dunkin’. 18. When your books cost more than a months’ food (but teach you nothing). Seriously are the pages made of gold or something? 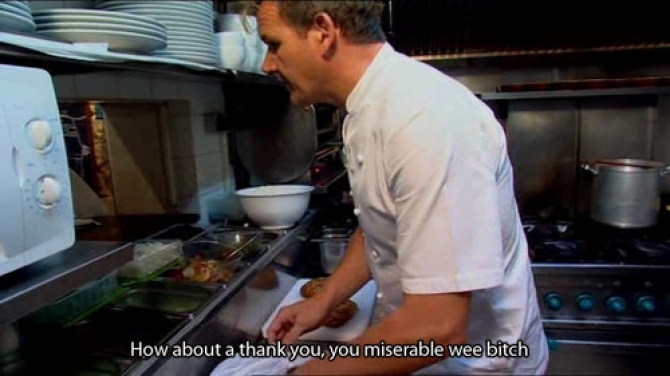 Thank you Gordon Ramsay for expressing our feelings better than we ever could. You truly know what it’s like to be perfect in a world of idiots, and no one could possibly say it better than you do.